Why Go Old School and Choose Shoe Repair Service In New York? Why is Opting for a Shoe Repair Service in NYC an Intelligent Choice? Do you keep a good collection of shoes to wear them on certain occasions? Most of us possess different varieties of shoes like formal shoes, normal boots, hiking boots, dance shoes, sports shoes and many other types of leather shoes that are worn to suit a particular event. If any of these shoes are damaged, they need to be repaired quickly because you cannot wear shoes that don’t suit a specific occasion. We offer repairs for every kind of shoe that you need at a particular point of time. Whether it is simple wear and tear, sole coming out of the shoes or broken heels and straps, we can do everything you need with your shoes. Our services boast of professional shoe repair services that are hard to find with the cobblers. And, we are available at any time depending on your convenience, including the weekends and extended hours during the weekdays. Also, our services are available at great discounted prices that will ease out the burden on your pocket. 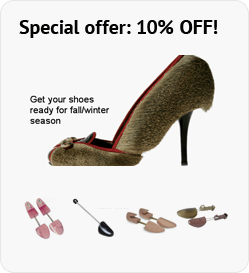 So, if you need shoe repair in Brooklyn, NY, you can get in touch with us through our website. And, if you want to experience elegant shoe repair in NYC first hand, you can pay a visit to our store.